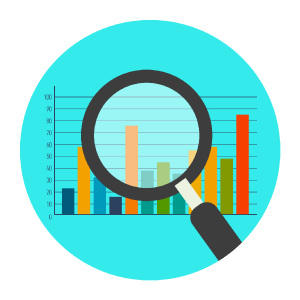 Search analytics provide tremendous insight about your site’s sales activity and what products your customers want to buy – even those your site might not have! EasyAsk’s search, navigation and merchandising analytics give your team actionable insight on what’s happening and the ability to make adjustments in a single click. Analytics will also give you a glimpse into products that your customers are looking for, even if you don’t carry them providing an opportunity to bolster your inventory with products you know your customers want. EasyAsk’s search analytics deliver actionable intelligence about your customers and their purchase behavior which allow you to optimize your site, promotions and the products you sell. A variety of reports tell you what product customers are looking for, how they found them, and if those customers converted. Each line of the reports is linked to a preview of the product listing and area of the site, allowing you to directly see the customer experience. Track all search and navigation activity to understanding the business impact of search: sales, conversions, lost visitors, etc. Identify problematic searches and, in a single click, fine tune your search environment by adding words, terms or attributes and associating them with specific products. Identify products customers are looking for that you don’t offer so you can add those to your product mix, or see new buying trends to shape promotions. See how quickly customers get to the products they want or if they become a lost visitor in order to optimize purchase paths on the site.